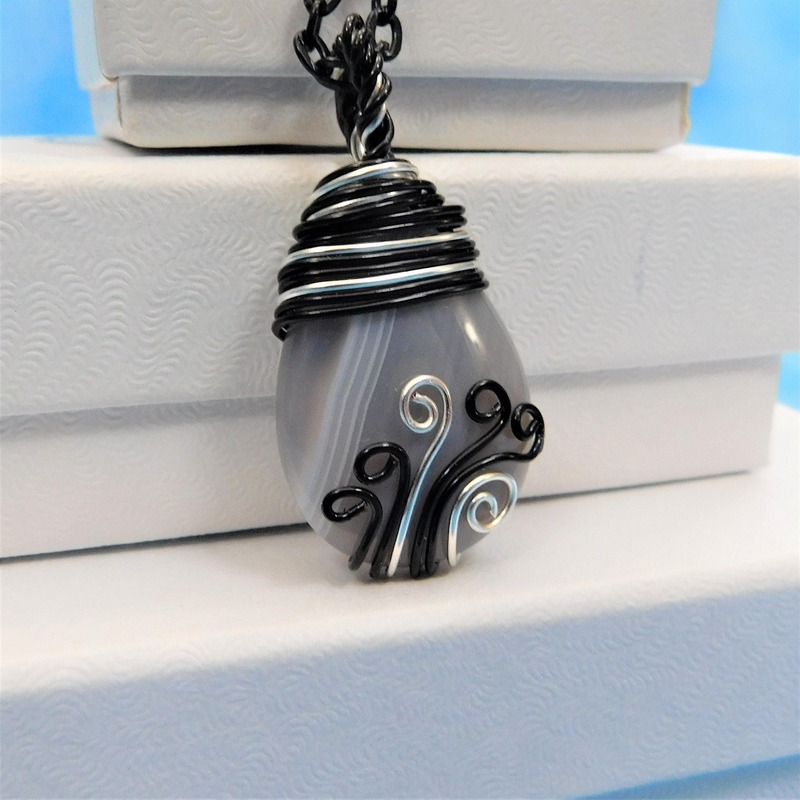 Two lovely shades of gray and bands of white are the hallmark of Botswana Agate. 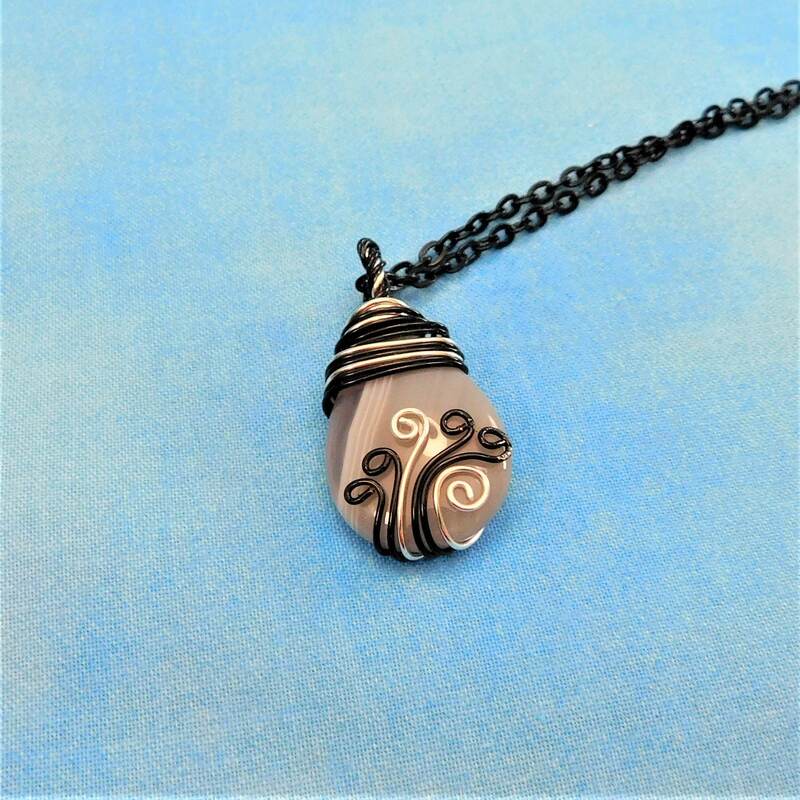 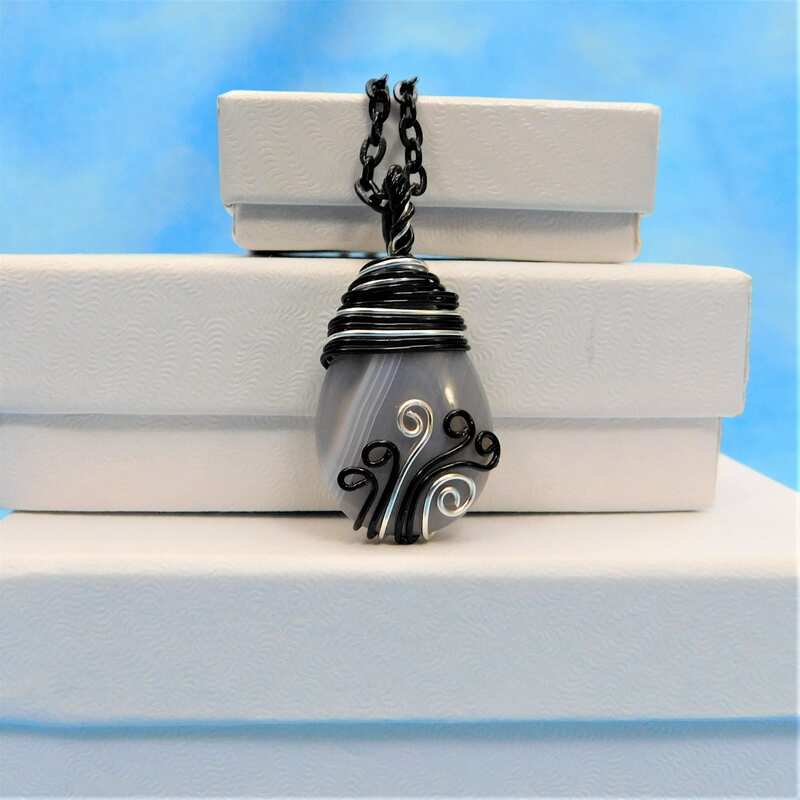 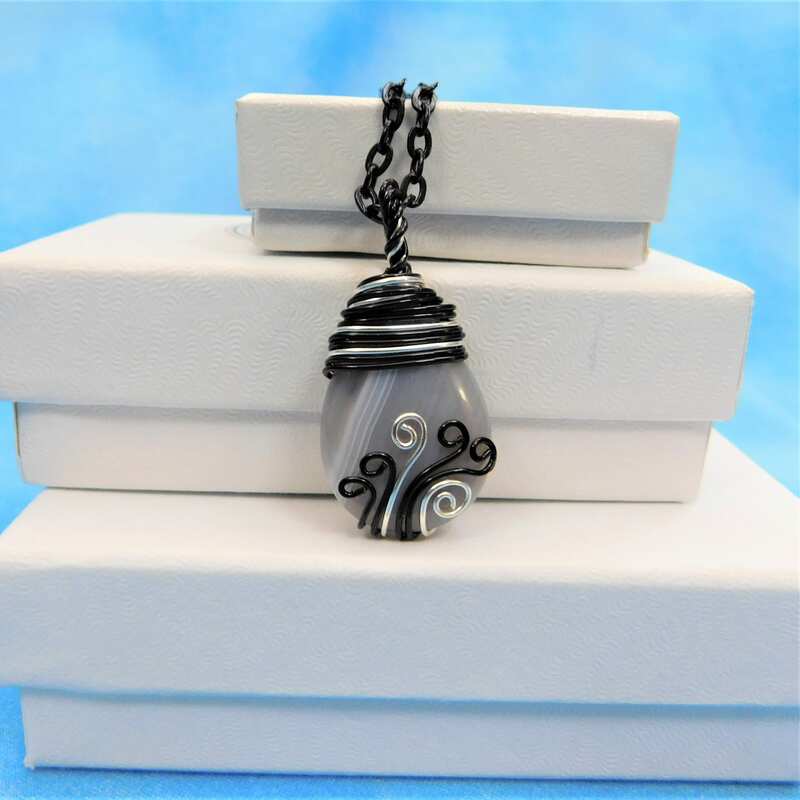 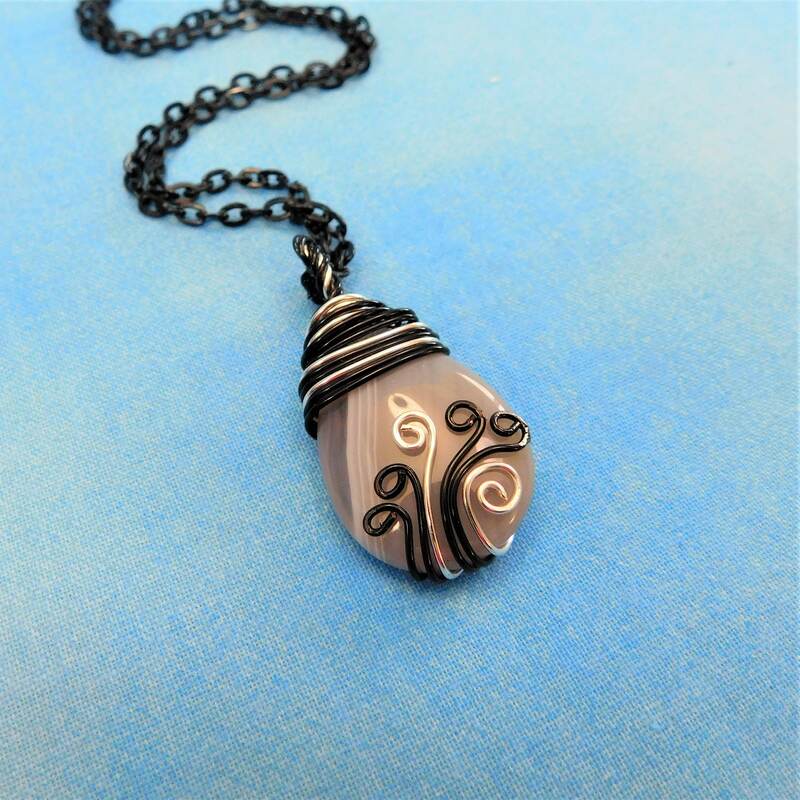 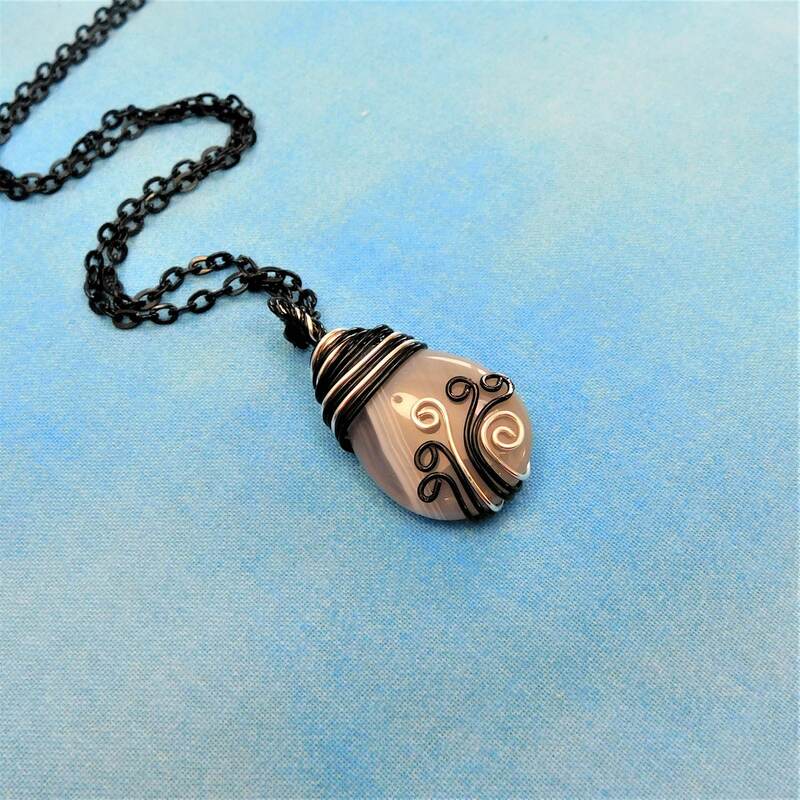 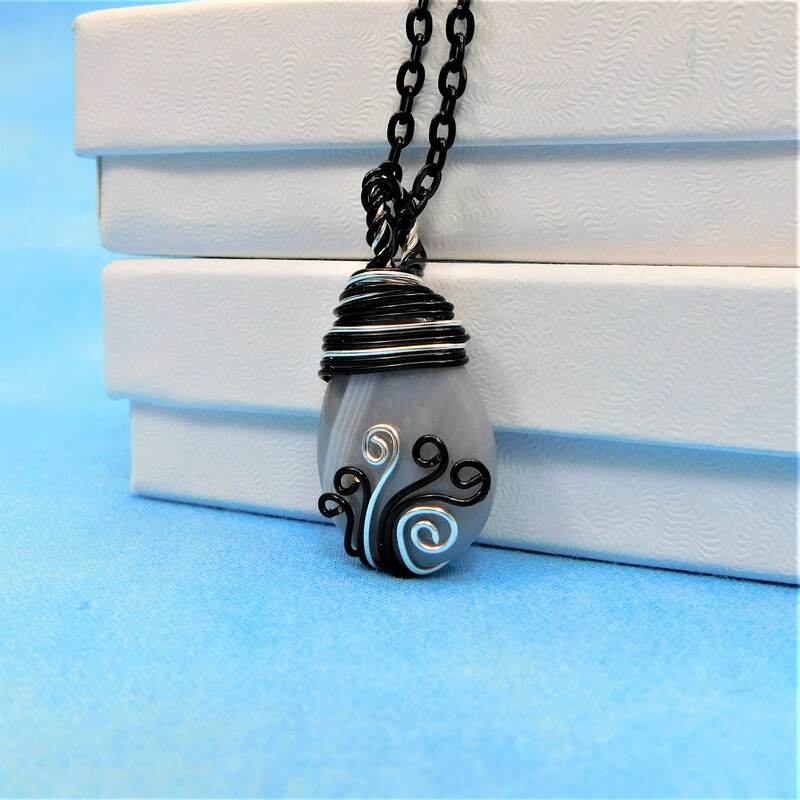 Strands of silver and black wire artistically accent the teardrop, wrapping around from the back of the stone. 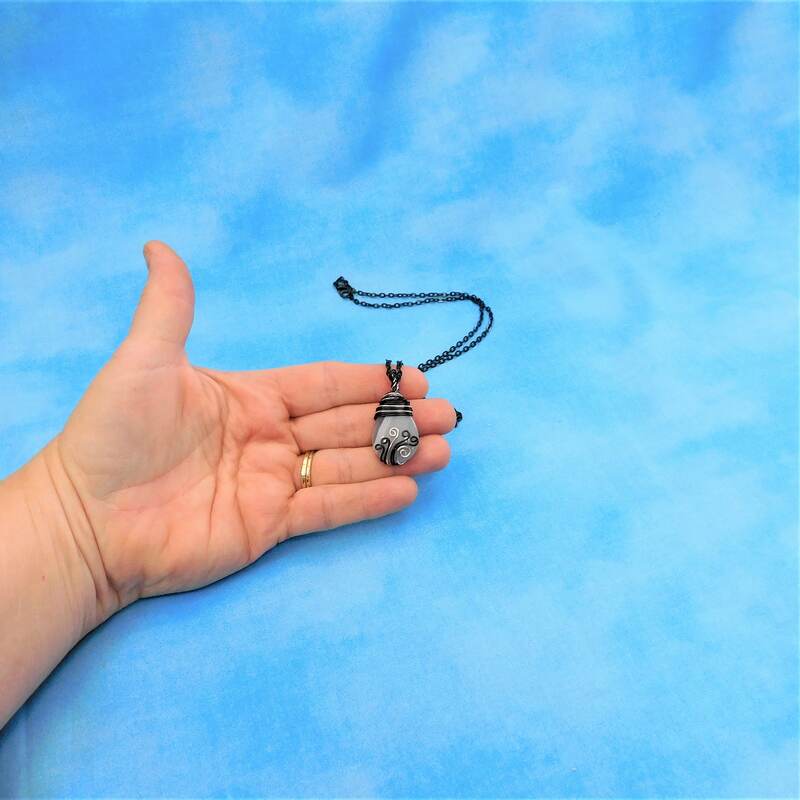 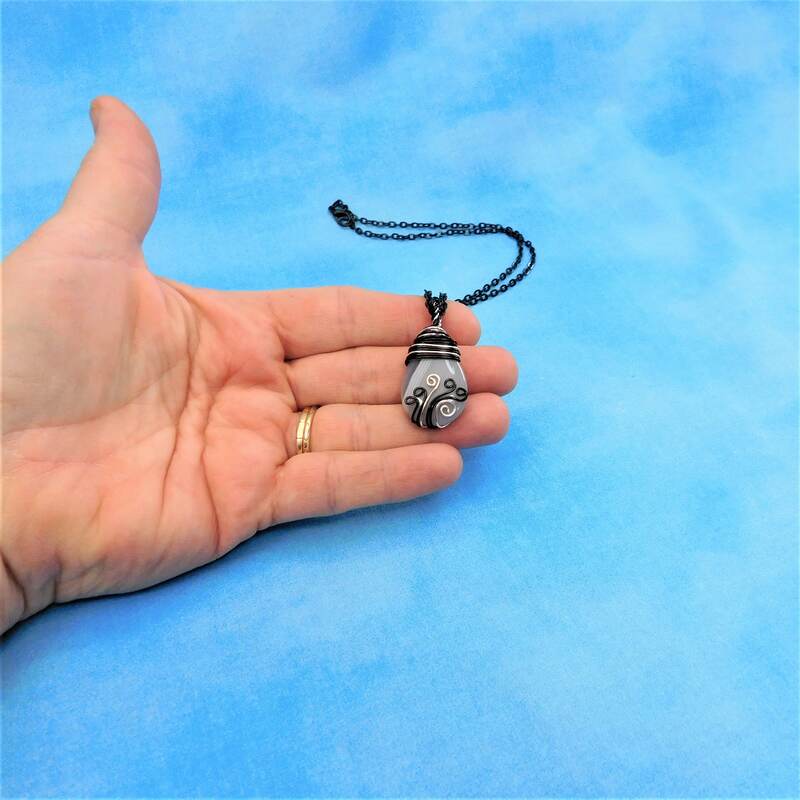 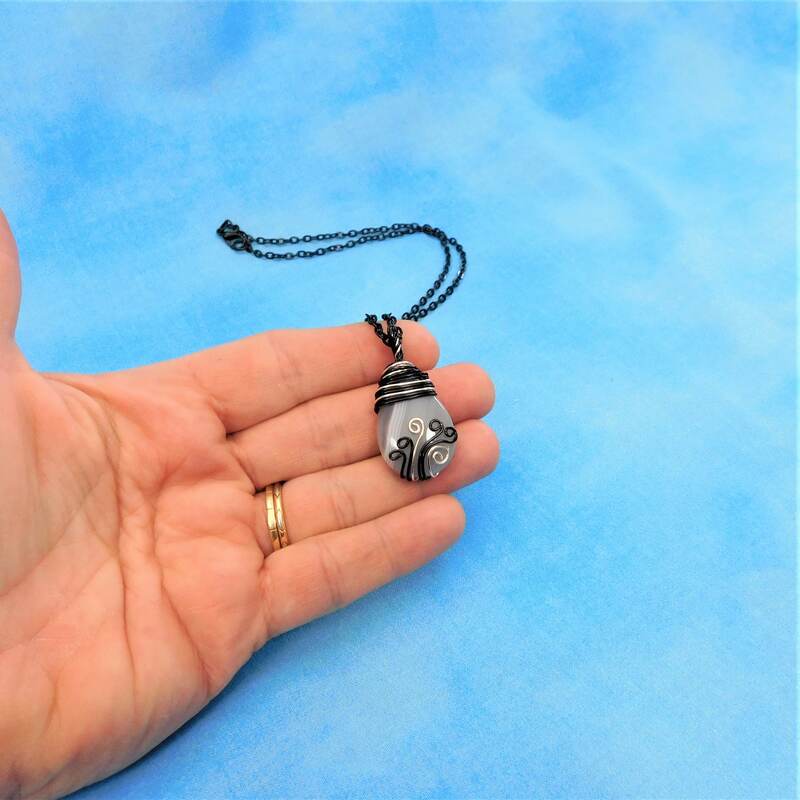 The teardrop measures 1 1/4 inches by 3/4 inches and the pendant comes with a FREE coordinating chain with lobster claw clasp, measured to your preferred length.